What's wrong with the University? 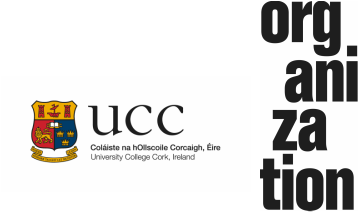 Conference: University College Cork, June 5 & 6, 2012. These are testing times for universities and for those working in them. Staff are constantly exhorted to be more efficient without compromising quality; to compete with one another but also to collaborate; to be creative and be more accountable; and to foster autonomy in a regime of control. In short, public expectations of universities are confused and contradictory. As universities have grown, they have embraced sameness, standardisation and technical rationality, which now threaten to stifle the heart of academic endeavour. Thus, a key question for those working in universities is how to deal, individually and collectively, with pervasive technologies of control. When is it right to resist bureaucratic instrumentalisation and the introduction of private sector practices, and when is there something to learn from them? In what spirit should we participate in attempts to measure our work, our teaching, our research? What are our job expectations, and how do we manage the uncertainty surrounding them? In many ways, these local issues speak to the changing and contested role of higher education in contemporary philosophical, economic and political models. These wider logics also raise a host of questions about the position and understanding of teaching within universities: What will teaching be like in 20 years time? Is the ideal of humanistic education finally being replaced by a world of on-line learning? Are the more traditional questions about knowledge, information, and culture still relevant? What do students need from their educational experience in the 21st century? What is happening to – and inside the ears of – our students? What do students need from their educational experience and what does society want universities to do? Prof Kathy Hall, Professor of Education, UCC. Prof Caroline Fennell, Head of the College of Arts, Celtic Studies and Social Sciences, UCC. Mr Ben Honan, President, UCC Students Union. Dr Seán Barrett, Seanad Éireann (Ind) Dublin University Panel and Department of Economics, TCD. Prof Darryl Jones, Head of School of English, TCD. Conference supported by Department of Management & Marketing, Department of Law, College of Business & Law, College of Arts, Celtic Studies & Social Sciences, and the journal Organization.